Directors Close-Up Returns: Acting Insight, Genre Thrills, Doc Talk, Screenwriting and More! For aspiring filmmakers, there’s never been a better time to learn how to direct. From the current bonanza of online video essays exploring the finer points of moviemaking to the plethora of thoughtful books about the art and style of heroic helmers ranging from Ida Lupino to Wes Anderson, resources are plentiful for the modern autodidact with auteur ambitions—debt-incurring big-name film schools and harsh apprenticeships are no longer the only options. Then there’s the sort of insight you can only glean from master moviemakers in person—especially if they can lay claim to having made one of the year’s very best films. And there’s one destination that for years has towered far above the flood of awards season Q&A roundtables: Film Independent’s annual Directors Close-Up series, which returns next week, January 30. Now in its 19th year, the Directors Close-Up is a series of five weekly panel discussions exploring—in lively detail—the art, craft and collaboration of visual storytelling, featuring the minds behind some of 2018’s most acclaimed films. Series passes are already sold out, but don’t panic! Single night tickets will be available for purchase soon. Be sure to check back with Film Independent’s website and social media channels regularly for more information. So! What can you expect at this year’s DCU? Keep reading to find out, and click here for more information on how to attend. Lights, camera… action! Why We’re Excited: We’re excited to kick off this year’s series with one of our favorite indie auteurs, Nicole Holofcener. It is often said that a director’s job is 90% complete in the casting room. Hear from both sides of the camera as Nicole, her long-time casting director Jeanne McCarthy and actor Thomas Mann discuss the art of casting and directing actors and what it takes to bring memorable and believable characters to life. Highlighted will be Holofcener’s critically acclaimed 2018 Netflix original film, The Land of Steady Habits, available to stream now. Why We’re Excited: It all starts with a good story. Writers and writer/directors discuss their craft and role as storytellers, while they explore the ways in which they collaborate to successfully bring a script from page to screen. Why We’re Excited: This has been a stellar year for documentary. From fresh new voices telling compelling personal stories, to veterans who continue to push the boundaries of storytelling, the form continues to evolve and grow into an exciting canvas for filmmakers to represent the world we live in. Join us as we discuss many of the questions and challenges inherent to nonfiction films, with the directors behind some of the most acclaimed documentaries of the year. They’ll explore how they go beyond letting reality unspool on screen to carefully crafting narratives that bring us closer to the truth. Why We’re Excited: At this year’s directors roundtable—a perennial favorite—five different Film Independent Spirit Award nominated directors will discuss their craft, their journeys as artists through the industry and the ways in which they have been able to balance their artistic integrity while making movies that resonate with audiences. Featuring filmmakers Bo Burnham (Eighth Grade), Debra Granik (Leave No Trace), Barry Jenkins (If Beale Street Could Talk), Tamara Jenkins (Private Live), Boots Riley (Sorry to Bother You) and Paul Schrader (First Reformed). Why We’re Excited: With a new generation of critically acclaimed genre films making big bucks and becoming indispensible internet memes, ever wondered why certain movies just seem to keep you on the edge of your seat more than others? The final night of the 2019 DCU features a crack team of cutting-edge midnight-movie mavericks, whose collected works have shocked and thrilled millions of audience members the world over. All 2019 Directors Close-Up panels will take place at The Landmark (10850 W Pico Blvd) on Wednesday evenings at 7:30, beginning January 30, each followed by a post-panel reception. 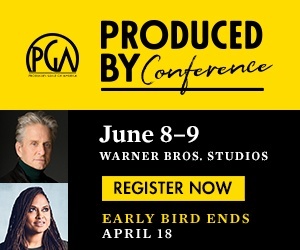 For more information about this year’s event, view our 2019 Directors Close-Up schedule. 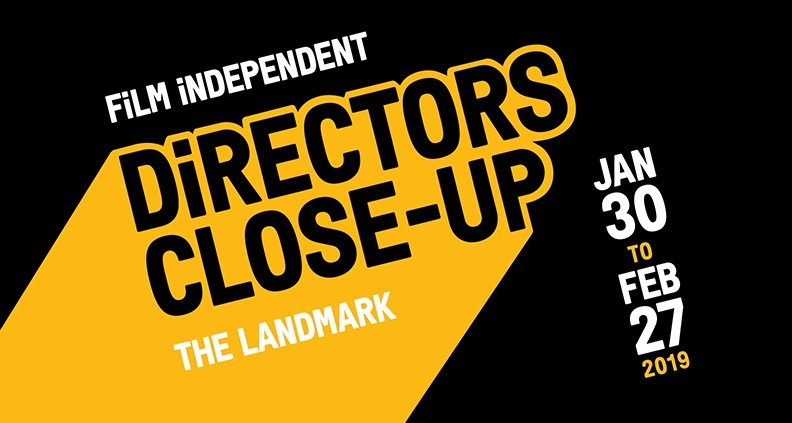 The 2019 Directors Close-Up is sponsored by BREAKER, Directors Guild of America, Landmark Theatres, SAGIndie and The Sexton. Passes for the series are already sold out but stay tuned to our events page for information regarding single night tickets, which will be available soon. Visit Film Independent’s website and click here to subscribe to our YouTube channel for exclusive DCU interview clips and bonus material. Also: be sure to follow along with all the fun on Facebook, Twitter and Instagram.